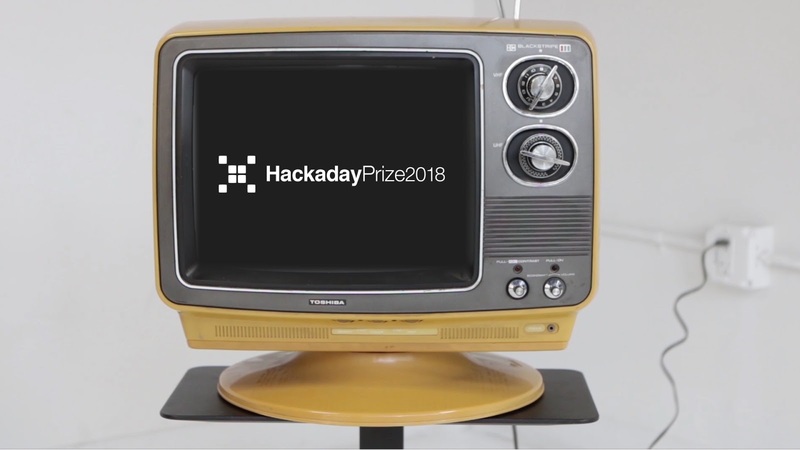 The Hackaday Prize has been running every year with a different spin, and this year it focuses on HARDWARE. Anyone can make one of something, but making a hundred or a few thousands of a thing requires a different set of skills and represent the next step for "making something". The good news is that those skills can be taught, learned, and there are resources available for making it happen. 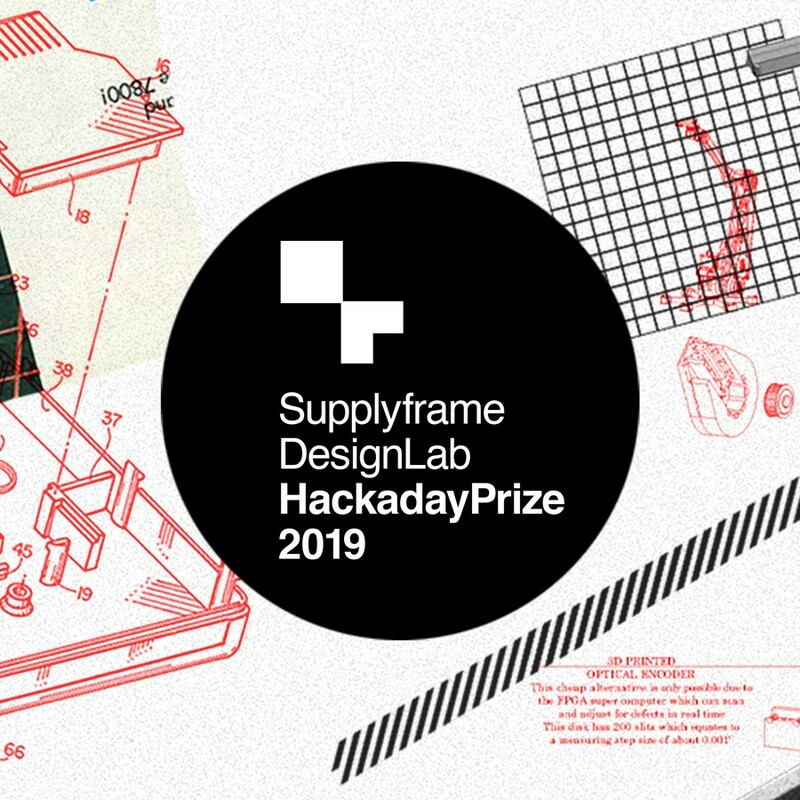 The 2019 Hackaday Prize has almost $200,000 up for grabs, and all you need to get started is an idea, an image, and some documentation. So get started! Lithophanes are solid plates of varying thickness, which show an image when lit from behind. Think of them as a carving, where the thick parts are dark and the thin parts are light, so it can make a picture. Today, it's possible to use 3D printing to crank them out fairly easily but there are a few easy tricks for getting the best results. 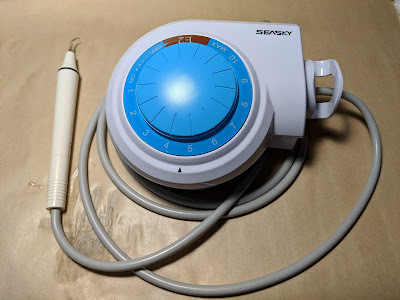 I made a compact DIY ultrasonic knife by modifying an ultrasonic dental scaler I purchased from China for a little over $100. It worked great for fine detail work. Well, someone showed me that there are also small, handheld, rechargeable "ultrasonic scalers" available for around $20. Could they also be made to work? I decided to purchase one to find out. It arrived today. The answer is no. A roughly $20 "ultrasonic scaler" that -- spoiler alert -- is not ultrasonic. So why not? 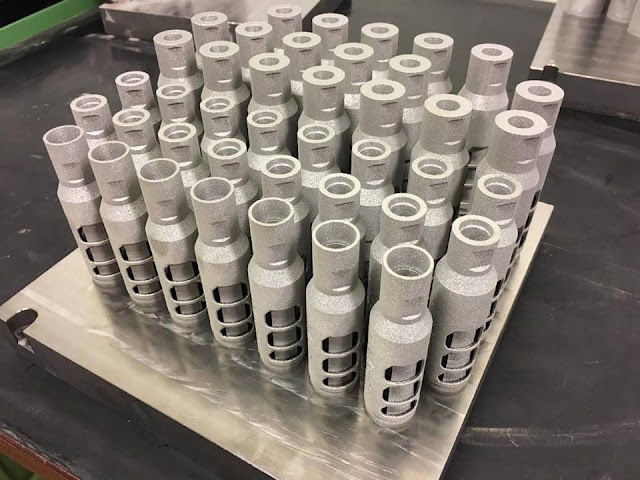 Because the tool is not ultrasonic, meaning it does not vibrate at ultrasonic speeds (over 20,000 Hz) To do that, one requires an ultrasonic transducer. The transducer will vibrate the tip a tiny amount at super high frequencies. As a result of this motion, the tip gains some mild superpowers when it comes to breaking up different stuff, such as -- in the case of dental scalers -- breaking up hard calculus (tartar) on teeth without damaging the teeth themselves. These tools may be advertised by sellers as "ultrasonic scalers" but they do not contain a transducer. In fact, the product packaging and manual themselves make no claims of being ultrasonic. It's just a vibe motor -- much like the one that vibrates your phone, or a cheap electric toothbrush. And that's all it is. A handheld vibe motor with a dental scaling tip on it. I burned the $20 so you don't have to! eBay uses the magic word "ultrasonic" in the name and description of these tools but they are not. Maybe I can make a micro sanding tool out of it or something, but I won't be making an ultrasonic cutter out of it, that's for sure. One of my big ideas involves a robotic system to address mail and stuff envelopes. Today I successfully had a robotic system pick up a blank envelope, have another robot write on it (with placeholder data), then move it when it was done. At this stage, it's mostly playing around with the hardware and tools and getting familiar with the capabilities and limitations, and creating the "glue" parts that let everything work together. Integration work is the embodiment of the phrase "the devil is in the details." 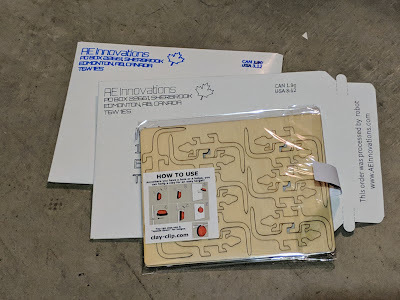 I'm currently using a uArm Swift Pro from UFACTORY, and an AxiDraw from EMSL (which I happily purchased from a Canadian distributor, Solarbotics.) The support hardware and systems are all my own work so far, but it's nice not to re-invent the wheel with the rest of the robotics. There is still a long ways to go (and I still need a name) but it's very gratifying to have something come together and do useful work, even just as a test. UPDATE: I make and sell clever little clay target hangers and as of Feb 18th, I shipped by first robot-written order! An important milestone! 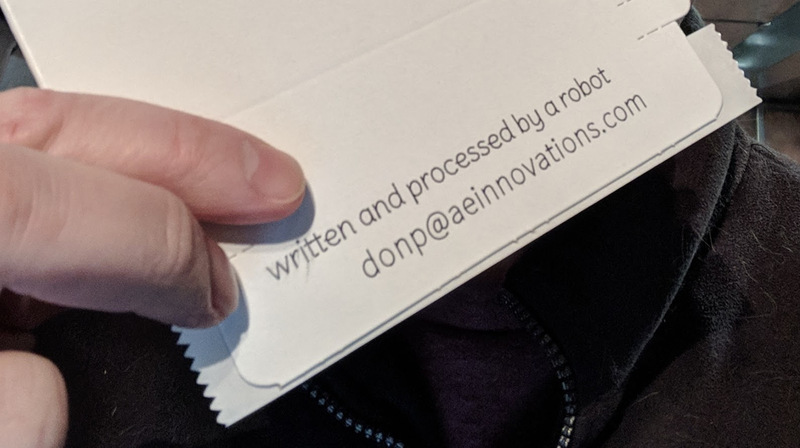 Buy one and get a robotically-addressed envelope! Some time ago I made a DIY ultrasonic knife. It's a small tool for fine detail work, and I use it for removing tricky supports from SLA 3D prints. I wrote an article about it that you can review for details. The tool was made from a cheap ultrasonic dental scaling tool I bought from China. I sharpened one of the tips into a sharp chisel point. This knife edge vibrates a tiny amount at a high frequency, which gives the knife edge some mild superpowers. It's able to cut through hard plastic (like the supports of 3D prints from my Formlabs Form 2 SLA printer) with ease, without putting stress on the part being cut. In the animation below, you can see my tool slice through the supports on a tiny piece that would not normally survive being cut by a utility knife or side cutters. The supports on Boba Fett's helmet-mounted rangefinger (I printed it at 25% size so it's much smaller than usual) are larger than the piece itself and would normally be too delicate to reliably remove supports, let alone leave a good surface finish. One potential application that I have been made aware of for a tool like this is to post-process prints that are intended for casting jewelry. They often have fine details that must be preserved. DIY Ultrasonic cutter removing supports from SLA 3D print. Note the puff of particles and water vapor when cutting. The liquid droplets are water; I used a small spray bottle to help control the dust. Note: the rangefinder is a separate piece in the original 3D model. I attached it for the express purpose of printing it as one piece and seeing if my ultrasonic cutter could handle removing the supports from such a small and delicate part, and it worked great! If you'd like to know more, there's a video and additional details on Hackaday.com. The device turned out to be a handy addition to my toolbox, and wasn't particularly expensive. About $125 in parts and a bit of work to modify one of the steel tips, and I had what I needed. If you'd like to try making your own, search eBay for "dental scaler" and "EMS Woodpecker" in the description. Buy one that has the correct plug for your country and you should be set for trying your own experiments. UPDATE: Perhaps you have seen even cheaper handheld "ultrasonic dental scalers" for sale and have wondered whether they could be made to work. I bought one to find out. The answer is no. 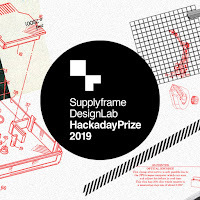 The Hackaday Prize is in its fifth year, and the final round of entries is currently underway: the Musical Instrument Challenge. It runs until October 8th. Twenty finalists will receive $1000 each and go on to the final round where a $50,000 cash prize (and more!) are waiting. What's the money for? It's cash, for you to use to develop your open-sourced idea or concept. Make something, and make the design and details open and available to others; that's it. All you really need to get started and entered is an idea and some documentation. So if you have an idea rattling that has been on the back burner waiting for an opportunity, this is it.